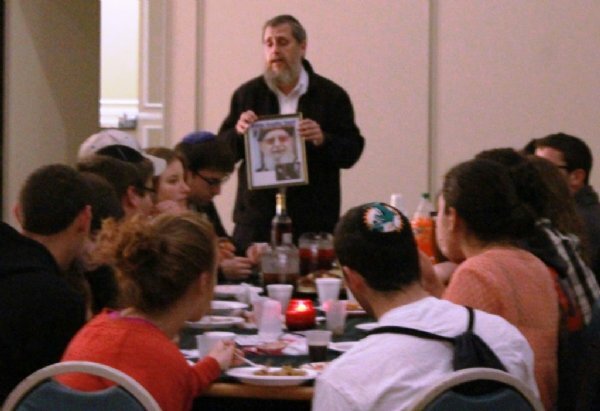 Memorial Service for Rabbi Ovadia Yosef At a standing room only Jerusalem Café at Chabad House at Rutgers University last night, the rabbis and students of Rutgers made a most beautiful tribute to the life of Israel’s Chief Sephardic Rabbi, Rabbi Ovadia Yosef, who passed away Monday. 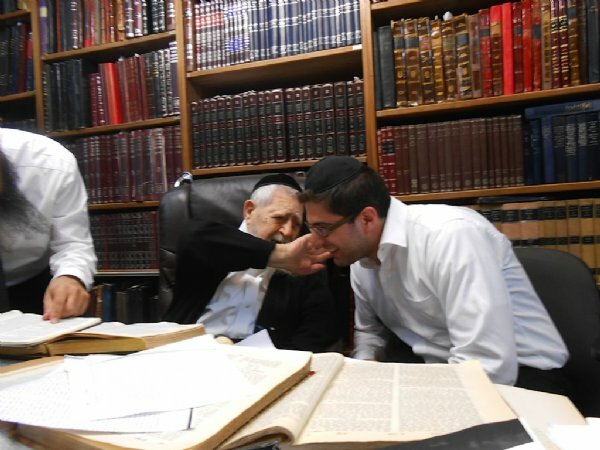 A beloved rabbi, who was known as the people’s rabbi, cared about each and every person who came to see him and seek his counsel and advice, both spiritual and material. Reports were that over 700,000 people attending his funeral in Israel – approximately 10% of Israel's entire population. 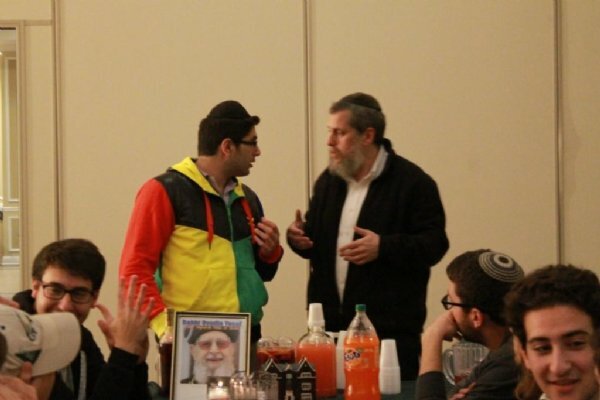 At Rutgers Chabad, student Marc Weitzen lit a memorial candle during the event, and spoke of his personal, inspiring encounter with the Chief Rabbi (pictures attached here), student Aaron Bivas told of just how great Rabbi Yosef is to himself, his family, and to the Jewish world, and Rabbi Goodman spoke of the care with which Rabbi Yosef dealt with countless people of all walks of life, encouraging their joy and adherence to Jewish traditions and customs. 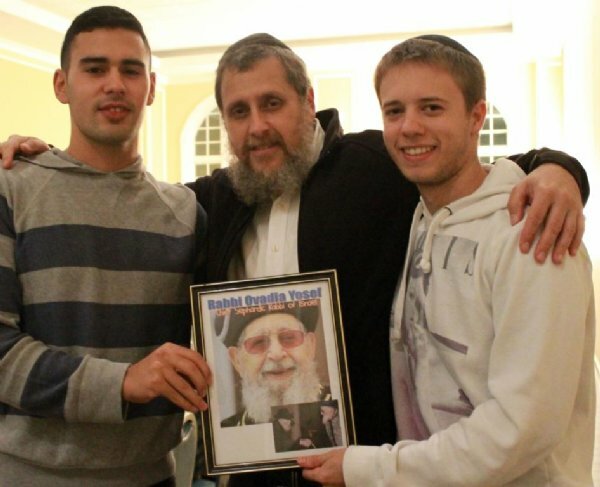 May Rabbi Ovadia Yosef’s life and righteous memory be a blessing and inspiration to us all, to do an extra mitzvah and deed of lovingkindness, learn a little more Torah, and be that much more excited for the Torah-promised Redemption with Moshiach now. Our personal condolences to our many Sephardic students whose families feel very close with the Rabbi and his teachings. Chazak v’amatz, chazak u’baruch.